Selections for COMPETITIVE programs are made by Celestina only, she will give notices to the selected athletes(members of our club) with information about the program and payment. 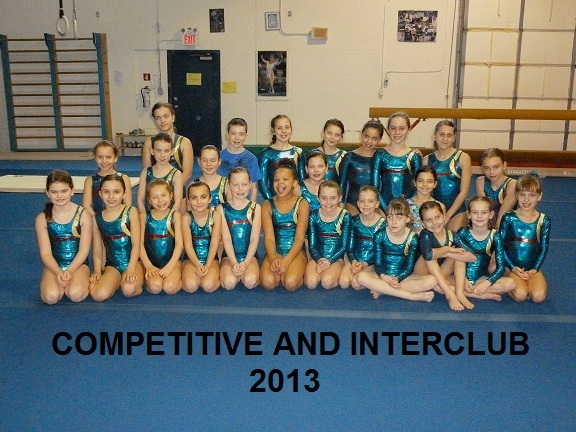 If you are NOT a member of our club and wish to be assest in order to be in our Competitive Program, a $25 assestment fee(cash only) will be required and please send an e-mail to celestinapopa@hotmail.com. After selection: In order to secure your child's placement in the Competitive, Pre-Competitive, Interclub program, a deposit is required at the time of registration. The amounts for deposit and monthly payments are provided in the notices. Please provide post-dated cheques for the 1st of the month with specified amounts. No exception! 2013 TEAM, GREAT RESULTS AND AWESOME WORK!!! Dear parents, you can pick-up Flyers with our program as well as Registration Forms(for programs or Birthday Parties) FROM THE DESK, for REGISTRATION AND INQUIRIES PLEASE COME WHEN THE OFFICE IS OPEN, DO NOT DISTURB THE CLASSES BECAUSE THE COACHES CAN'T LEAVE THE CLASS UNATTENDED TO TAKE REGISTRATIONS OR ANSWER QUESTIONS! Thank you for your understanding! Please click here to read ALL the rules prior to registration about registration in our program and/or birthday parties, about refund policy and about our gym rules. REMEMBER: We offer gym bodysuits at great prices from $17 to $35(tax included).Please CLICK HERE to see some of gym bodysuits. They can also wear stretchy shorts if they like. Male gymnasts are required to wear shorts. Cotton blends are excellent choices. Despite our best efforts, sometimes an error can slip through and we appologize for this inconvenience! In the event of a printing error, the info and fees provided by our office or our web-site will be deemed accurate!